Tomasi Domomate has been an artist with the Oceania Centre since 2009. He completed both primary and secondary schooling in Kadavu, his home. Kadavu directly feels the affect of climate change; through the forced relocation of villages and construction of sea walls, keeping the burden of rising sea levels out. He directly links his art to marine life and changes in the environment. Tomasi’s love of art allows him to combine his concern for the changing environment and the ability to communicate through art. He found a passion for art at an early age, although originally interested in graphic design he now considers painting his main interest. Much of his free time is spent absorbed in his work. 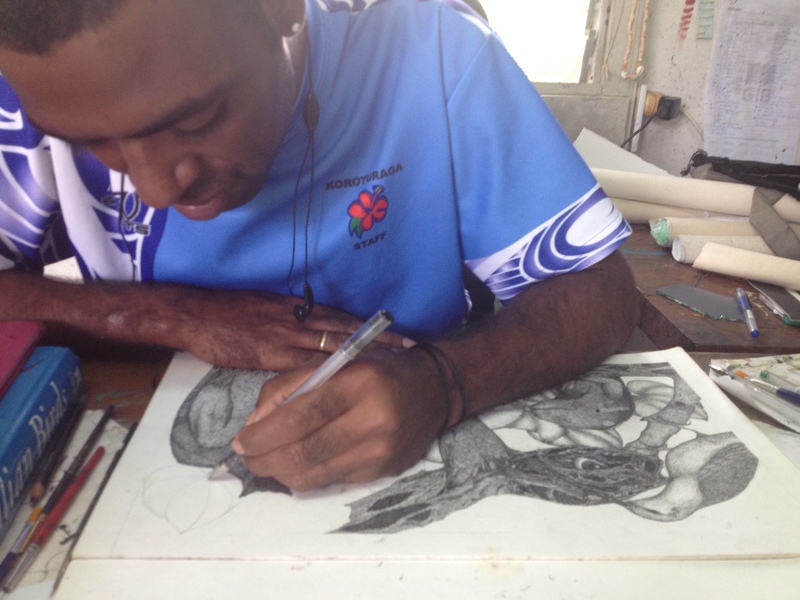 He is passionate about creating a demand for Fijian art that connects such talented artists to the outside world. Selling his art allows a part of his soul to traverse the world and reside outside the Pacific.